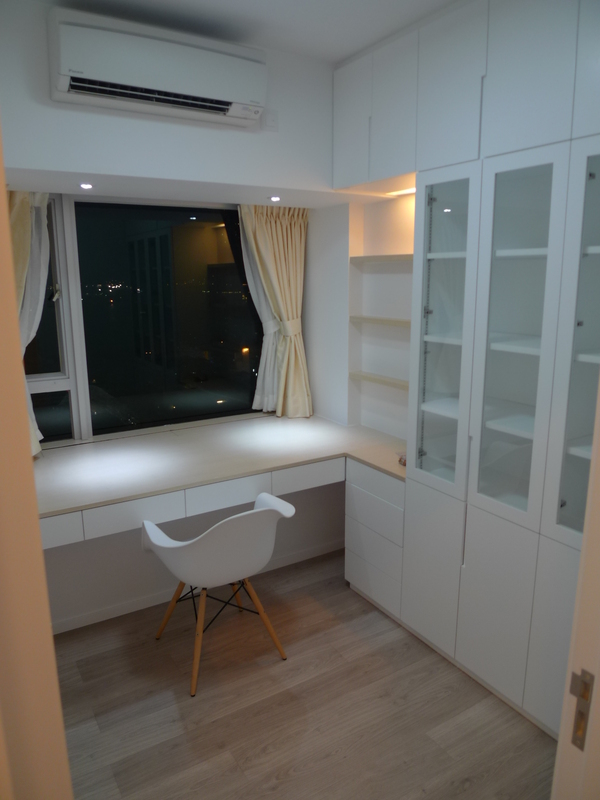 A brand new 3-room flat in Tseung Kwan O owned by a professional. While implementing our ideas, the interior was designed to correspond with fungshui. The living room features a long TV cabinet extending to the dining room as a long bench, and effectively co-opting the concrete wall, a natural wood dining table and metallic lights into its design. The master bedroom is a neat trick, with a large L-shaped wardrobe with hydraulic bed and bedside drawers. The home is designed to be natural and relaxed, and to uplift the quality of life of the owner. 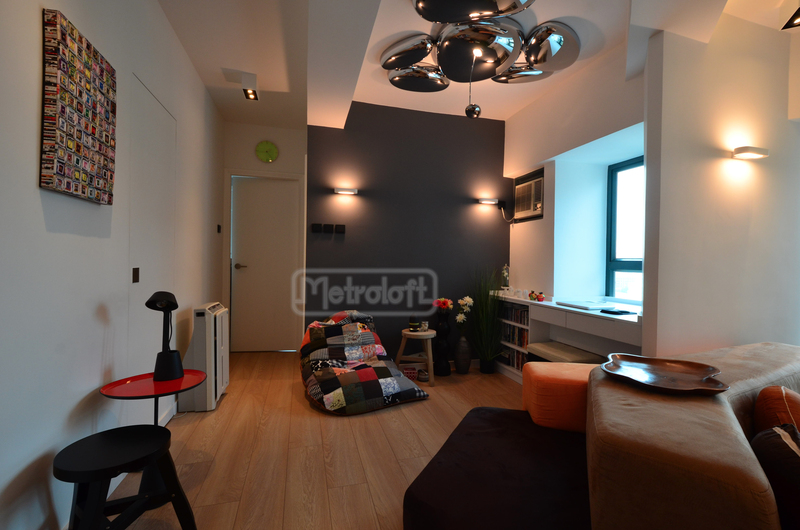 A young professional couple have this 2-bedroom flat renovated to welcome their new baby. 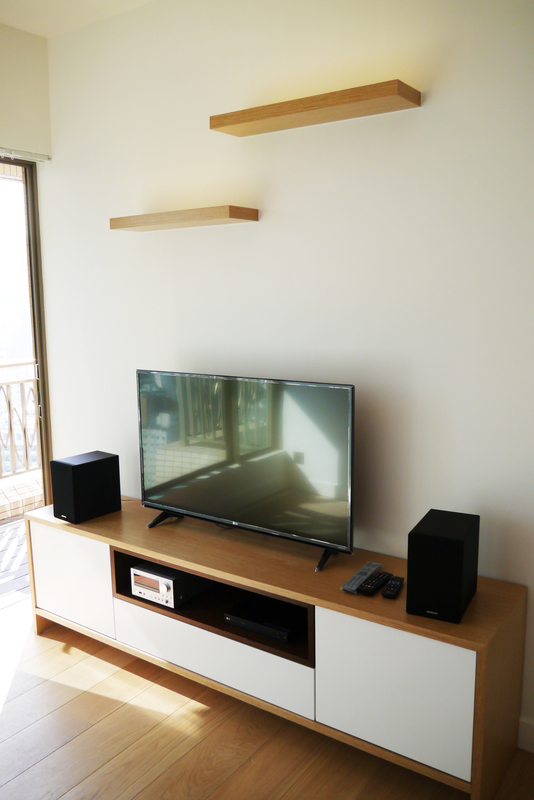 A white and natural wood tone is implemented in the design. 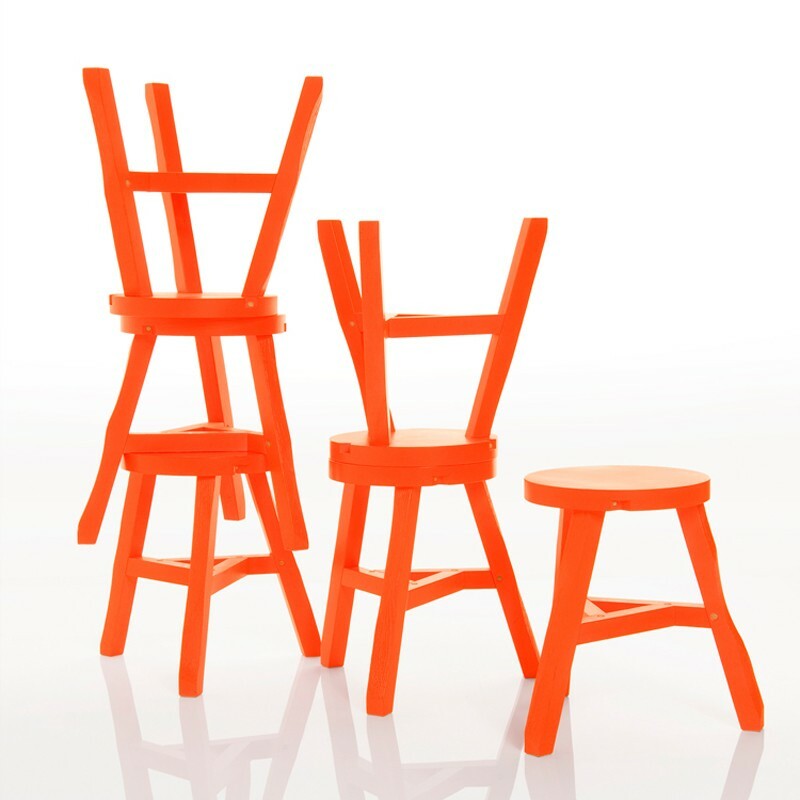 Furniture is designed in block shape with round corners to deliver a puzzle effect and to provide sufficient storage. All materials are carefully selected for the new born. This is a very quick turnaround site office for Chun Wo Development in Wanchai. Key words here: functionality and simplicity. Started from scratch, the project was completed in 20 days from design to finish. 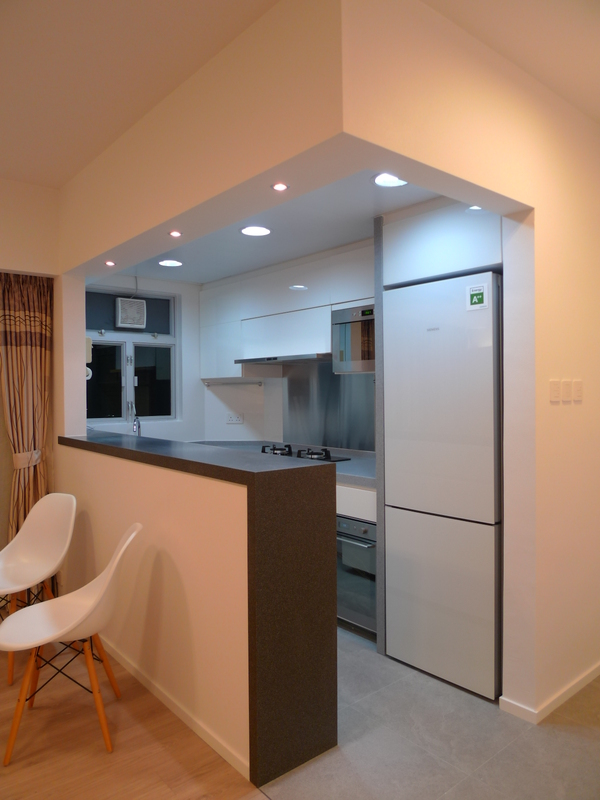 A 500 sq ft small apartment design and renovation project in Wanchai. It is a more traditional design with wood and white elements for a busy professional owner. Everything has been handled in detail and the biggest challenge was to ensure a very quick renovation period of 2 months. 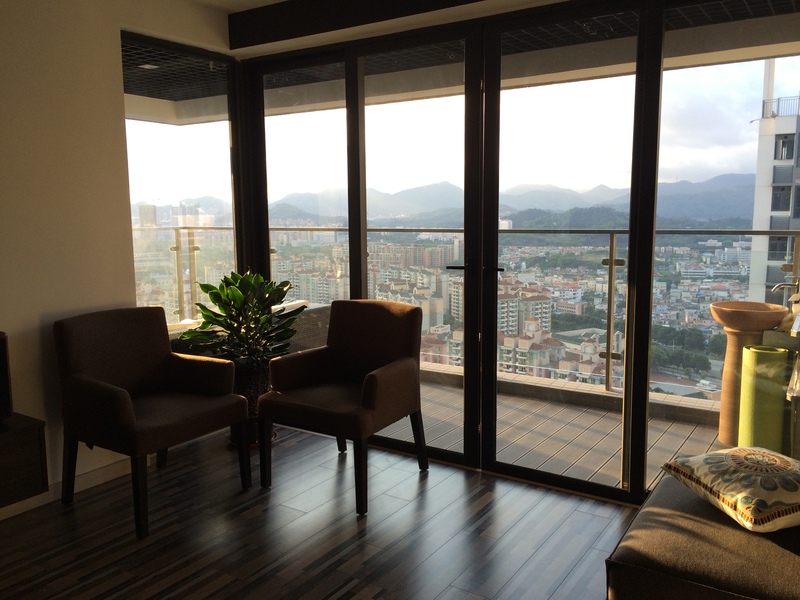 A 1,700 sq ft apartment project in ZhongShan. Everything started from scratch with no water pipes or electricity foundation. It is a 3-room 2-toilet apartment with an L-shaped balcony, 1 kitchen. Industrial and natural elements have been injected into this project to create a nice harmony and natural feeling home for a retired family. A 768 ft flat with roof top interior project. Everything started from scratch, from flooring and wall demolishing, to furniture and lighting. 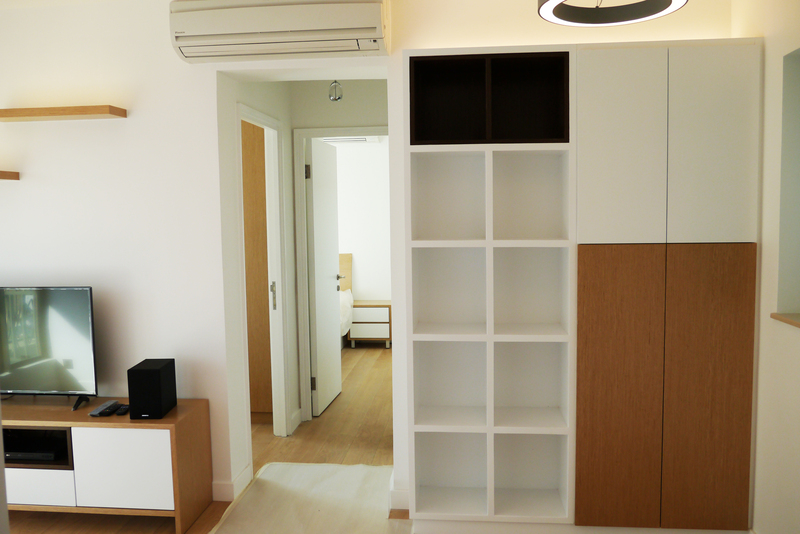 A 3-room + 2-toilet apartment changed to a 2-room + 1 toilet + 1 walk-in closet design. With the release of a room area, the living room expanded dramatically and the expanded area becomes an art and mini garden corner for relaxation, wine tasting and a home office. 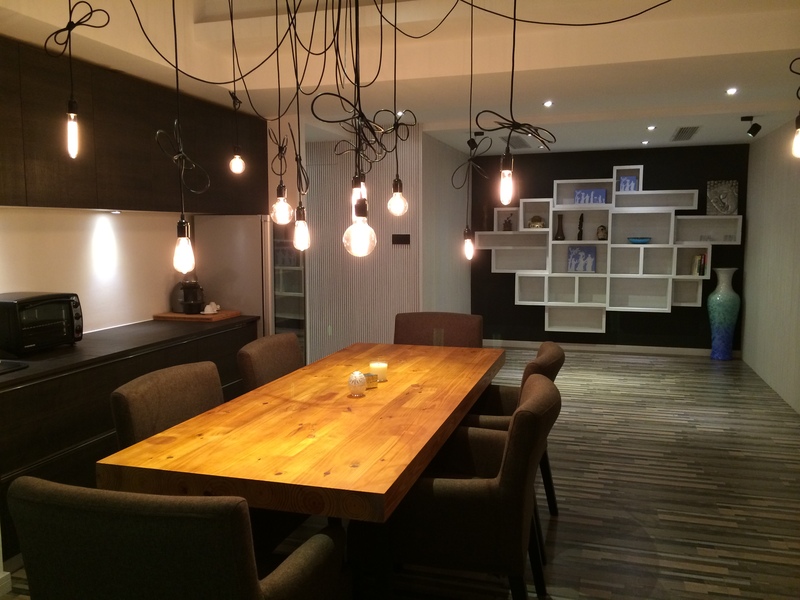 All furniture, lighting and original art pieces were carefully created and selected. Small home, big storage idea. 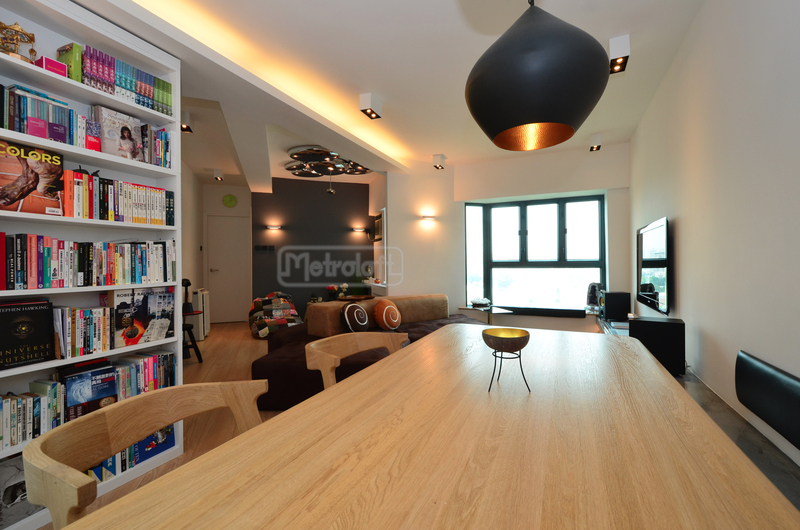 This is a 700 ft project in To Kwa Wan, with a strong request of storage and an open kitchen with a bar area. It is a full renovation with all the custom built furniture, platform, bed. Natural wood with a mixture of stone tiles are the main elements of this home.